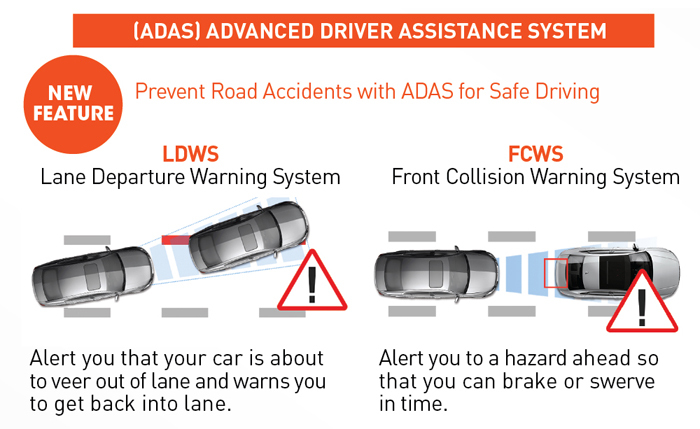 Marbella KR5 - A 2CH Advanced Driver Assistance System (ADAS) Black Box that is simply perfect for your needs. 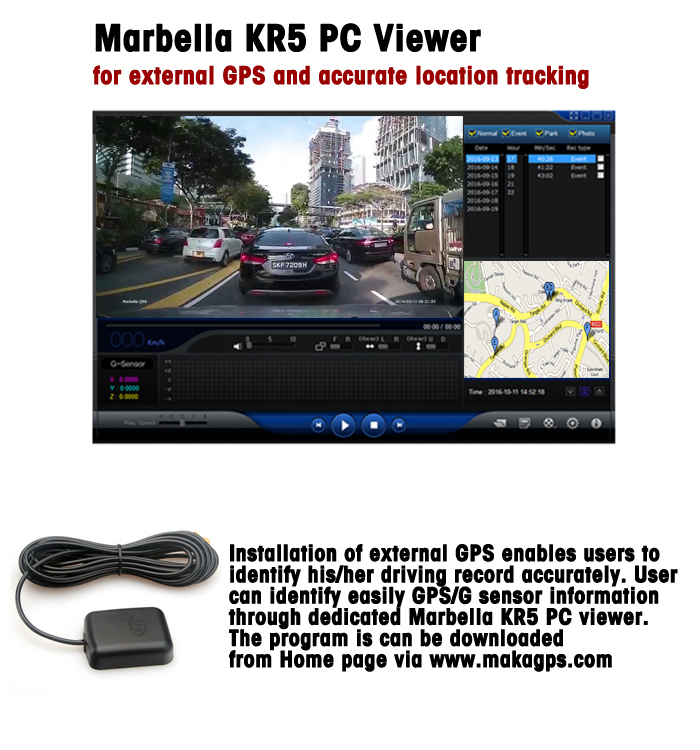 June 2017, SINGAPORE - PC SHOW 2017 at MARINA BAY SANDS (MBS) CONVENTION CENTRE, we are proudly presenting our new generation of Marbella KR5 with the latest optical camera sensor lens that will enhance our drivers' experience and elevate your safeness on the road by introducing the latest development of Advanced Driver Assistance System (ADAS) embedded on the latest Marbella KR5. Able to withstand the harsh automotive environment. This has been verified through experiments in real car environments. When temperature of the device goes up to 70 degrees, it automatically stop operation. This will protects the stored images and the device itself. 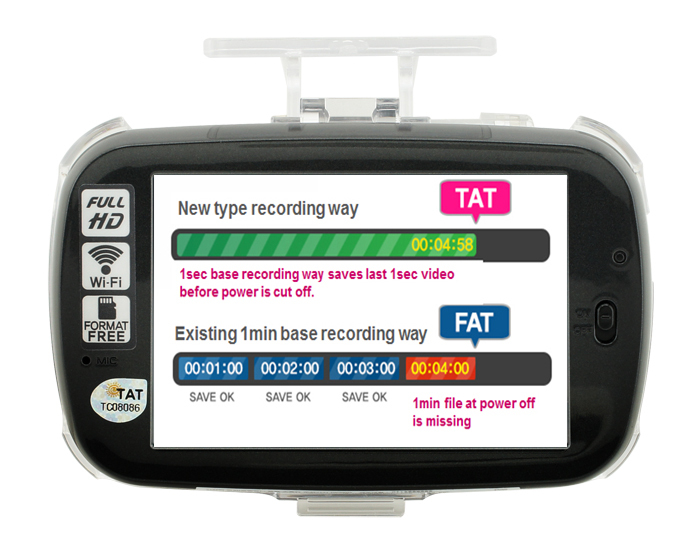 When the temperature of the device drops below 70 degrees, recording automatically starts. 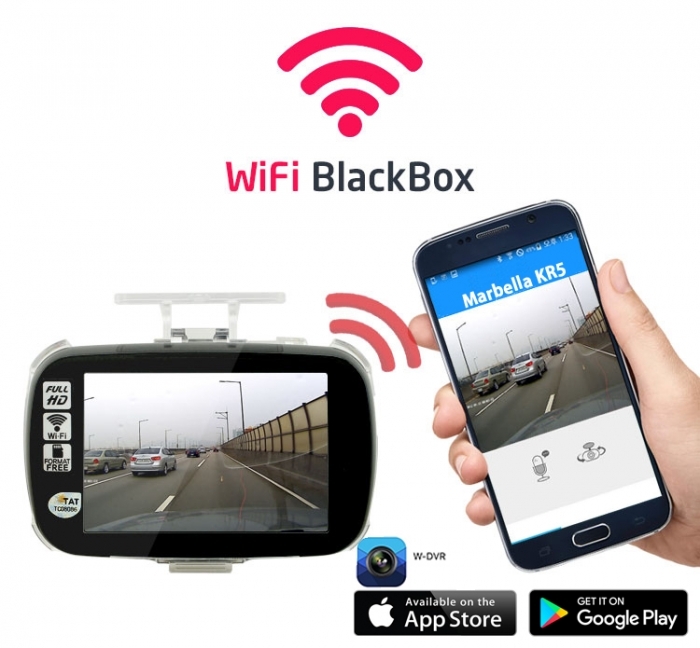 The latest Marbella KR5 – a Front + Back camera is equipped with the latest and the most innovative Korean technologies that records in Full HD1080p at 140° wide angle in front, and HD 720p 120° wide angle on rear, for full coverage and security of your vehicle and loved ones. 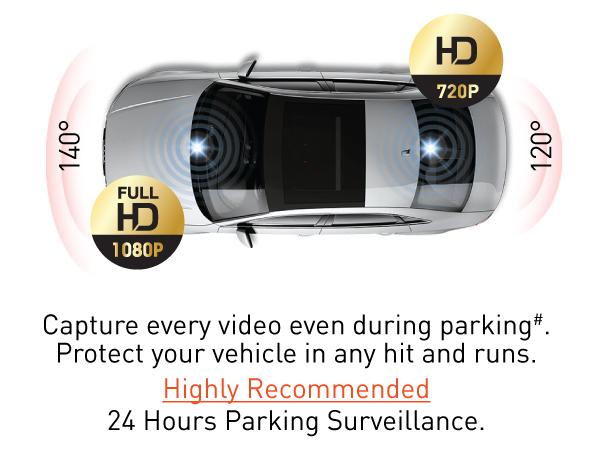 It has an ability to provide 24 hours’ surveillance through gravity sensor (G-Sensor) as well as detecting surround motions (front + rear) to ensure it records every movement in the surrounding environment of your vehicle. The innovative built-in WIFI function allows you to preview, download, playback and share your video footage on various social media platform. You can also configure customised your preferred configurations through our own APP. The APP is available in both Apple iOS and Google Playstore and please go to the app store and look for "W-DVR" after you purchase your Marbella KR5 from our retail stores. Marbella KR5 is equipped with the latest and the most innovative Korean designed dash cam which records in Full HD 1080p at 140° wide angle in front, and HD 720p 120° wide angle on rear, for full coverage and security of your vehicle and loved ones. 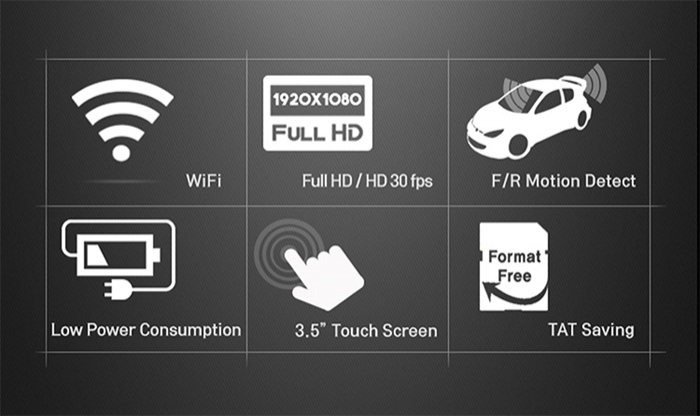 With it's sensitive improved 3.5inch Touch Screen with the TFT panel, Marbella KR5 gives you an easy access to our new comprehensive settings from WIFI settings to battery protection settings at your finger tips. 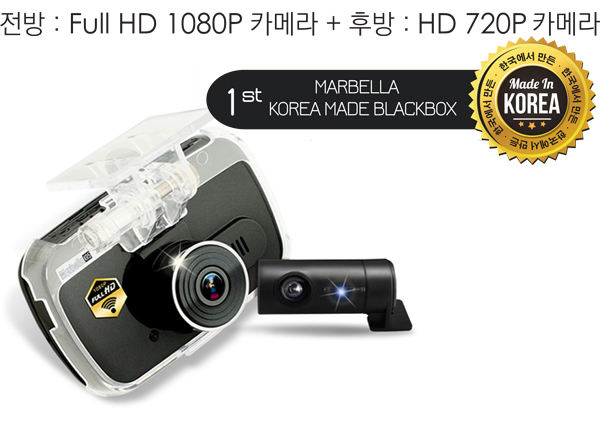 With its special licensed technology, the Marbella KR5 is a format Free Dashcam which allows the Marbella KR5 to record high quality video footage in *.TAT format which means it reduces the damages caused during long hour recording. Format FREE is the latest and the most effective memory management without having a trouble to format your MicroSD card by changing from conventional time division method (fixed file size - *.FAT Format) to Space division method (efficient using the SD card capacity) of memory, avoid memory fragmentation in advance that extend the life of the memory card. 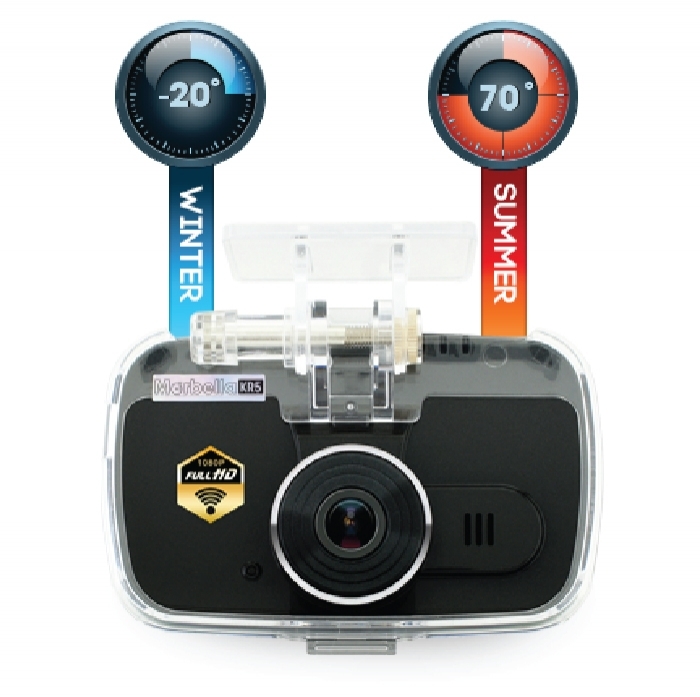 Marbella KR5 supports 24 hours recording and park monitoring sensor has been embedded in the BOTH front and back camera. 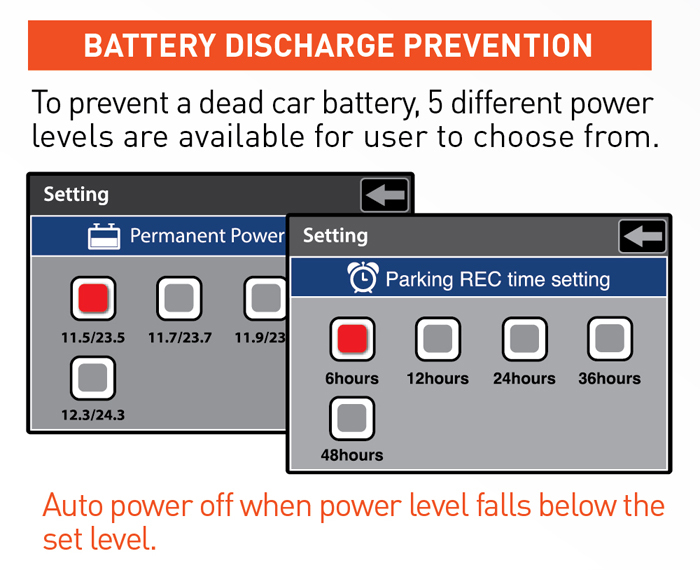 Marbella KR5 do not required to install any voltage cut off device since it has a built-in battery voltage monitoring function. 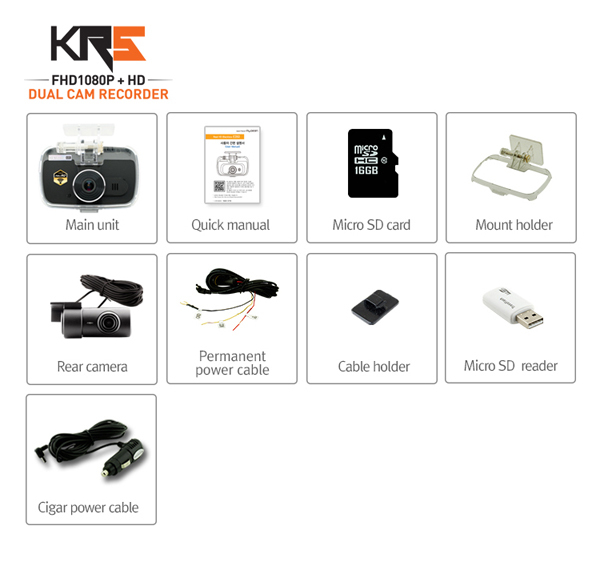 Usually the consuming current of Dash Cam is 10 ~ 50mA and Marbella KR5 has one of the lowest consuming current consumption of 400mAh - Front FHD + Back HD (1/10 of a similar products), it realize battery discharge free. 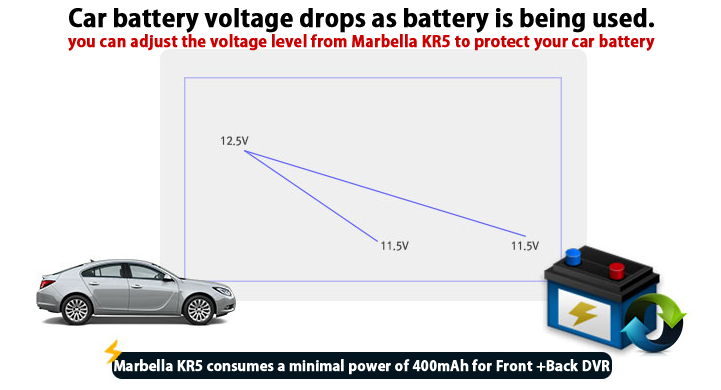 Marbella KR5 has also its own voltage cut-off function without installing any power safety device to prevent battery discharge overnight and it provides 3-wire power cable as part of the standard accessories. To ease our user, we have also included 12V cigarette lighter car charger so you can start your Marbella KR5 to be the next eye witness dashcam the moment you purchase it from the retail store.